First look at the upcoming indie horror. 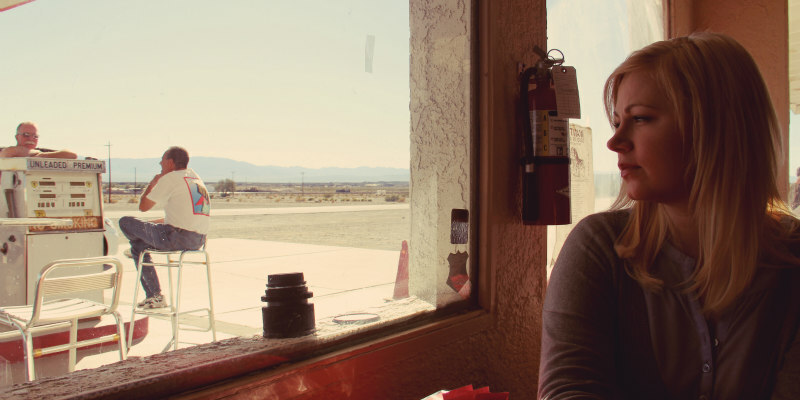 Over the past few years, Jessica Cameron has become quite the filmmaking force. She stars and executive produces Lilith, the latest indie horror from Small Town Girl Productions. Along with Cameron, the film stars Carlo Mendez, Ryan Kiser and Ali Ferda in a thriller based on Mesopotamian lore. Heidi and Steve Richmond are traveling across country in an RV, the workaholic married couple are taking a break from the hustle and bustle of every day life to rekindle their romance. But when their path crosses with a beautiful young woman named Lily, their idyllic road trip becomes a hellish nightmare.